… a valid excuse to give up on your dreams. Here are 50 people who overcame the very same things you are facing right now. Let them show you the way to outrageous success and happiness regardless of your age or circumstances. As someone who is over 50, I thought this would be an interesting book. Vic Johnson is apparently a motivational speaker, though I can't find out much about him. Google searches come up with older information. 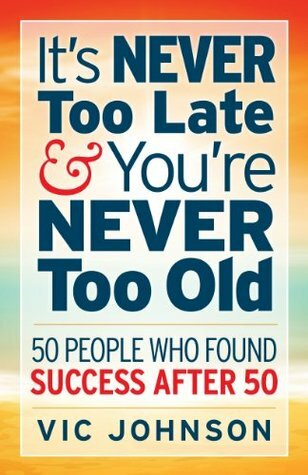 In this book, there are 50 short chapters about 50 people who had success over the age of 50 ... 50 reasons why it's never to late and you're never to old to live your dreams and find success. They range from unknowns to those more well-known such as Colonel Sanders, Orville Redenbacher, Ronald Reagan, George Burns, Julia Child, Winston Churchill, Rodney Dangerfield and Clint Eastwood. 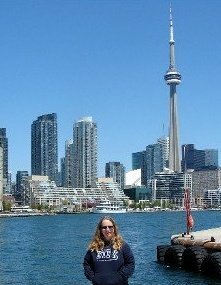 They include powerful business people, people who changed history and those who made a difference around them. At the end of each chapter, there is a principle (a recap) and an action (how you can duplicate). I liked this book. It was short and snappy and a quick read. Some of the people I'd obviously hear of while others I hadn't.